entries! Thanks SO much for making it available. Wonderfully topical just now, Blackberry Kvass. 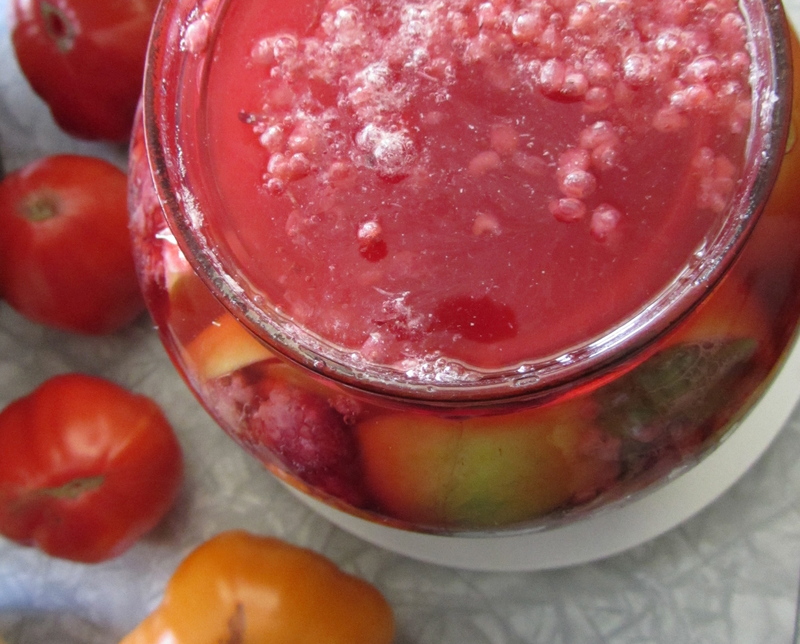 Fermenting and autumn all in one! Does the lid need to be tight in order for the “brew” to “ferment?” I cut the top off a gallon milk jug, assembled the recipe, then put a double layer of paper towels, then replaced the cut off top of the milk jug on top. I guess it’s the same question, does it need to be sealed? 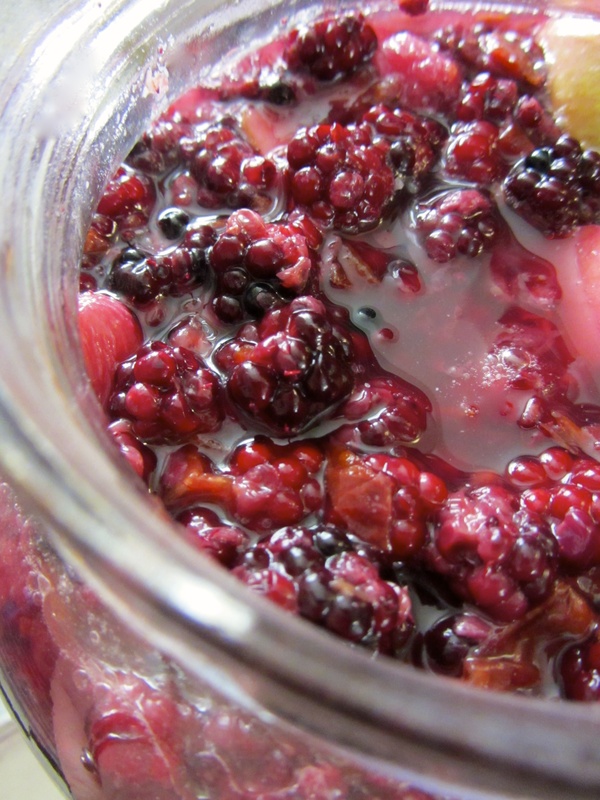 I’ve noticed that blackberries love to ferment (even when you don’t want them to) so I wonder if that was why you featured them here, and it you have tried switching up the fruit. Hi Janet. I did blackberries because they’re traditional (most likely for the reason you mention) and because I had just picked some. 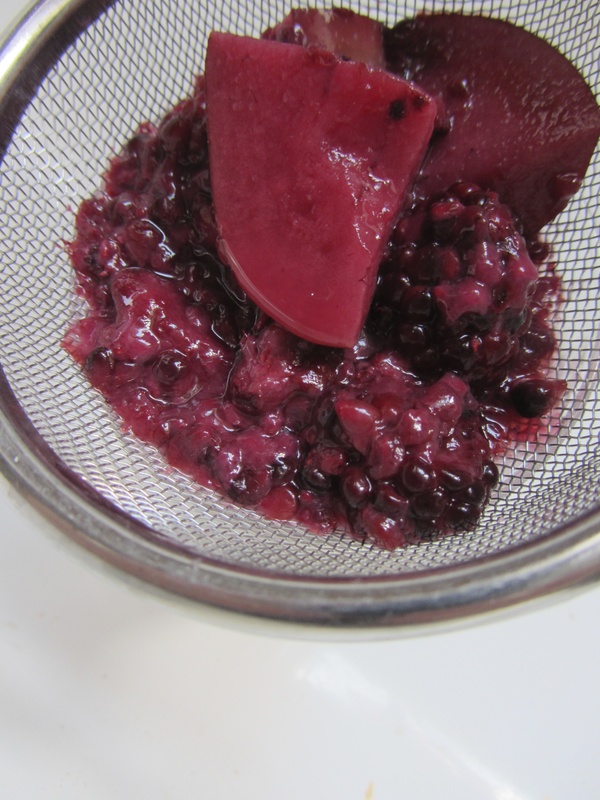 But since then, I put up a batch with frozen tayberries and gooseberries, and it was just as good. May do raspberries next. Should be fine in flavor, but perhaps less fizzy. Perhaps. If you really like fizzy, go ahead and do the secondary ferment in a 2-liter soda bottle, as described above. Hi Eugenia, tx for the recipe. 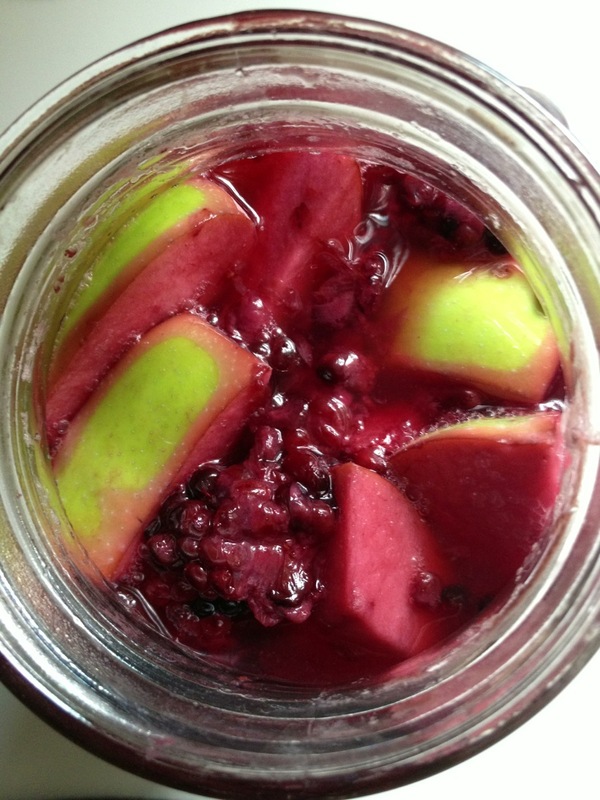 I have made kvass b4, beet kvass from Sally Fallons book, and my variation of her raspberry drink. She uses salt in her recipes to keep the alcohol down. No one but me would drink it. I have made a 1/2 gallon following your basic recipe. I like that there is no salt because I think the salt aspect is what made noone like it. I needed to use my whey but did not know it would be this easy with common ingredients from my kitchen. 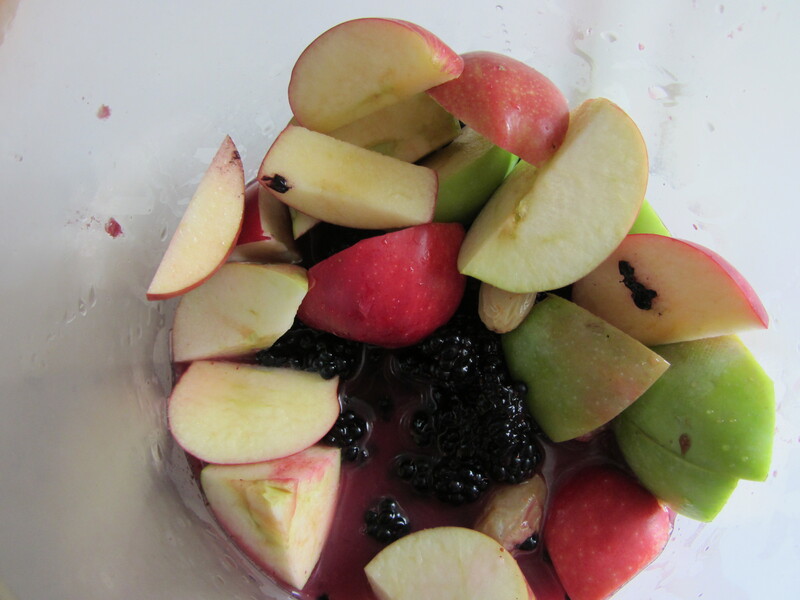 I’ve used blueberries from Michigan and apples and pears from the back yard. I dont think I need to worry too much about this becoming alcohol as I expect it will be drunk must faster, and hopefully not all by me! I am hoping the grandkids may enjoy some as well. I cant wait to try it! What creates the probiotics? Whey?